In my previous articles we have seen how to build a home router being a VPN gateway based off FreeBSD or OpenBSD. In these cases, we used an external VPN provider to connect to, and route all of our encrypted traffic through it. However, while I received positive feeback, I also had legitimate questions about the trust given to the VPN provider. What if the VPN provider is not honest and is in fact logging despite stating the opposite? What if he is malicious and watch his clients traffic? The VPN provider could also be perfectly honest, but could be breached (OS vulnerability, OpenSSL/Heartbleed, Shellshock, etc...) by attackers then logging clients traffics. Or simply, may be we perfectly trust it, but we just want to be in control of the VPN server itself. Managing and controlling your own VPN server gives you the following advantages: no concurrent clients connections limit, dedicated server not used simultaneously by strangers, the choice of the OS and security parameters, and complete trust on your provider (yourself). On the other hand, depending on the server hosting provider and its prices, you may have a monthly bandwitdh limit, and in all cases, a server to maintain continuously (security patches, monitoring, backups, etc...). Also, the price will probably be a little higher when hosting your own server online. Using AirVPN I have a yearly price of 54€. Using a dedicated Virtual Private Server (VPS) for 5€ per month for instance, it makes 60€ per year. Using a VPS is cheaper than using a hardware dedicated server, while still being a dedicated (virtual) server. VPS can also be saved with whole OS snapshots, which is handy before attemping an upgrade. Then, which VPS provider to choose? I have looked at a lot of them, looking for a rare one natively providing FreeBSD and OpenBSD. Better yet, allowing the use of custom ISO and booting onto it, and having a console access for the install or for rebooting into single user mode. I was looking at being able to do snapshots too, and have a choice of different datacenters in various countries. I have found such provider: Vultr. You can of course follow this article if you use or plan of using any other web hoster, dedicated server or VPS. It just happened that Vultr had all of the features I needed, and even more such as a Two-Factor Authentication (2FA) with Yubikey (Google Authenticator possible too). As a bonus they accept Bitcoin payments. In the following, I assume you have chosen your server provider, and have a running OpenBSD 5.6 freshly installed. If you want installation instructions, you can check my OpenBSD VPN gateway article, keeping in mind it's best to let your interface in DHCP while installing it for the first time on your VPS. I also assume you have one root and one user account, the user account being in the wheel group, and allowed to use sudo, as described in my aforementioned article. We now have few things to do: create an SSH key, disable root login and password base authentication, and make SSH listening on another port as a bonus (to avoid automated scans adding "noise" to our logs). For Linux/BSD clients you can create a key with -t ed25519 as below, but for Windows your SSH client may only be compatible with keys created using -t rsa. Copy the content of your private key "~/.ssh/id_ed25519" on the remote computer you will use to connect to your router, and set a permission of "600" on it. If on Linux or BSD, you will be able to connect later with "ssh -i your_private_key your_server_ip". You now have a SSH listening on a non default port, root denied from connecting in, password authentication disabled, and authencation based on SSH keys and passphrase. For further SSH hardening, read the following excellent article describing which protocols and ciphers to use for optimum security. I may in the future update the SSH settings given in this article to follow some of the advises from this page. M:Tier is a third party not related to OpenBSD project however, so you have to decide if you wish to trust their repository or not. At this point your still rely on your provider DNS server in /etc/resolv.conf, we will take care of that in the next step. You can choose your dnscrypt enabled DNS server at the following list (choose a logless DNSSEC enabled one). You should modify this ruleset according to your chosen SSH and VPN listening ports (we will setup OpenVPN later, but you can choose a random port now). The scan detection and blacklisting concept can theoretically backfire, if someone sends spoofed packets with trusted IPs. However, as it is implemented, only incoming traffic will match the blacklist table. Therefore, if a spoofed packet is sent with a website IP you trust, it will not prevent you to access that website at all as your traffic will be outbound. Also, as we will write a script to parse pf logs and add IPs into the blacklist, we will add an exception for our own trusted client computer public IP address to avoid being locked out. As a last resort the remote console access from the VPS provider could allow us to login, if we were totally locked out for any reason. This adaptative behavior is not mandatory fo your VPN server to be operational, but it is useful to block automatic scans on the Internet to query your SSH and VPN ports once they hit previously ports in your watchlist. Additionally, while I show below an example with selected ports in the watchlist, you could test putting the whole ports range, excluding your two open ports (more aggressive). 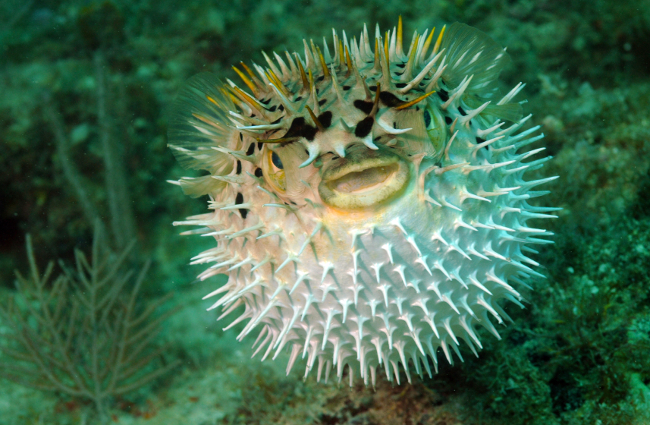 # "Being your own VPN provider with OpenBSD"
# ports watchlist example, modify as you wish. block in log quick from <bruteforce> label "bruteforce"
block in log quick from <badguys> label "old_guys"
antispoof log quick for egress label "antispoof"
block quick log tagged BAD_PACKET label "noroute_urpf"
block quick log tagged IPV6 label "ipv6"
block quick log tagged BAD_GUYS label "new_guy"
trusted="YOUR COMPUTER/CLIENT PUBLIC IP HERE"
# Remove our own trusted client IP we connect from! echo -e "Table <badguys> total/first/retry : $BAD_TOTAL/$BAD_NEW/$BAD_OLD"
echo -e "Table <bruteforce> : $BRUTE_TOTAL"
- "total" is the number of IP addresses blacklisted. - "ports blocked" is the port list accessed by the blacklisted IPs. - "bruteforce" is the total number of IP which made too many connections to our open SSH port. You now have a nice adaptative firewall, however as warned above, be careful as it can backfire if trusted IPs are not excluded and become blacklisted. It is a working configuration I had no trouble with, in my context, but in your situation it may have to be modified to fit your case. You shoud check with tail -f /var/log/messages that OpenVPN started successfully. If something went wrong, check your files and folders ownership and rights. Your VPN server is now finished! VPN are usually seen as a holy grail for security, privacy, and anonymity. However, as I mentioned it in the OpenBSD VPN gateway article, in the Beyond VPN part, VPN does not solve every problem. With VPN, you will prevent your traffic from being intercepted and watched either in a public WIFI or by your ISP, or by any country practising global surveillance. It is thus possible to reach security and privacy. One caveat mentioned in the aformentioned article, is that traffic leaving your VPN server is not encrypted and requires end-to-end encryption to protect your privacy (HTTPS, SSH, SMTPS, DNSCrypt, etc...). Security is not automatic while using a VPN however, if we read this spiegel.de article. We learn that the NSA is able to break some VPN such as PPTP or even IPSEC, but that's the how which is interesting, instead of declaring VPN "broken" alltogether. First method is for NSA to participate in encryption standard elaboration to weaken these standards (IETF). If we bought products using less secure encryption, it will be easier for them to decrypt. Then for IPSEC connections for instance, which is more robust, they do not break the protocol itself and hence any IPSEC connection, but are rather using their TAO team to hack routers to steal the keys. NSA targeted for instance a VPN provider named SecurityKiss in Ireland. Security of both VPN protocol and both endpoints (client and server) is of first importance to have a secure connection. If we use the best in class "uncrackable" encryption, but that the server or clients are not secured enough, secret keys can be stolen and VPN decrypted. Privacy, even if we use strong VPN encryption with very secure server and clients, is a fragile thing. Indeed, at the other end of the tunnel, on the websites and forums you visit, what you type there is of critical importance to your privacy. Obviously, posting your whole life on Facebook quite nullifies the privacy acquired by the use of VPN. Also, even if you use a secure and privacy minded mailbox such as ProtonMail, if you still communicate with Gmail clients your emails will still be read. Additionaly, if in the confort of your VPN you confess to Google Search engine all of your questions, fears, or interests, your privacy will have a very short life (I advise using Duckduckgo search engine instead). What about anonymity? If we have a good security and privacy, are we automatically anonymous? Having privacy is not the same as being anonymous. If you know my real name because I choose to, but I do not disclose to you my favourite movie, or what books I like to read, I have privacy (I choose what I want to say to who I want). If however you don't even know who I am, I have anonymity. Anonymity is really tricky to achieve. Even if you use a VPN, your browser is likely to betray you with tracking cookies. If you go to a particular website with a VPN server located in a foreign country, the website will see your connection coming from this country, but if it uses tracking cookies it will recognize you anyway. Browser fingerprints are pretty unique too and can be used to identify you no matter which VPN you use and even if you disable all cookies. You can test you browser fingerprint uniqueness at https://panopticlick.eff.org/. My browser fingerprint is unique among nearly 5 millions tests done on this site! The fact I did the test with a VPN and am using Ghostery browser plugin does not change anything. By using the TOR browser with default settings, still trough my VPN, my fingerprint was matching 8655 other browsers fingerprints, I was no longer uniquely identifiable. Achieving security, privacy, and anonymity, requires proper end-to-end encryption and security (server and client). 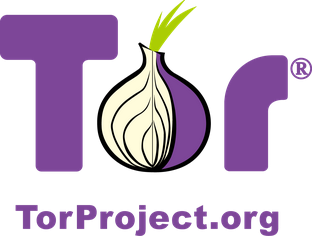 It also requires the use of multiple tools and encrypted channels (VPN, Tor, HTTPS, 2FA with Yubikeys), and the avoidance of public services having questionable privacy policies (use alternatives such as ProtonMail, SpiderOak, Duckduckgo, RedPhone, TextSecure, etc...). Most of all, be aware that everything written in the clear, as in an email sent to friend on a webmail account, a "private" message on a forum, or a standard mobile phone SMS, can be potentially intercepted and is thus to be considered public. 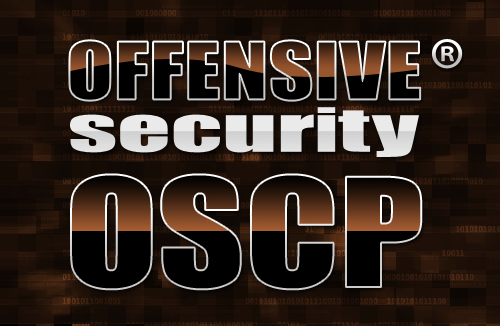 We have seen how to build an OpenVPN server based on OpenBSD, to benefit from OpenBSD's memory protection, randomness implementation, LibreSSL, and secure by default philosophy. I find the VPS server to be a cost effective way to build our own VPN server, with many benefits such as snapshot before an upgrade, full access to boot the wanted ISO, remote console access, datacenter country location choice, and Two-Factor authentication with Yubikey. It is a way to be in full control of your computer, your home router, and your VPN server at the other end. However, there is still benefits of using an external VPN provider such as AirVPN. You spend less money yearly, less time as you do not have to maintain a server or upgrade it, and you have other options such as tunneling VPN inside a SSH or SSL connection. You can switch of VPN server country more quickly, whereas on Vultr you would have to setup DHCP again on your server, do a snapshot, delete your server, and restore the snapshot by selecting a different datacenter. It is still nice to be able to do such manipulation though! By using an external VPN provider you choose convenience, whereas by managing your own server you prioritize control and trust. Make your choice! Hint: ARPNetworks also offers OpenBSD VPSs. They really good, I've been using them for over four years now. They are much more pricey apparently: a 500GB monthly bandwitdh limit server is 20$/month. Vultr offers 1TB for 5$. However that's good to know another OpenBSD/FreeBSD VPS provider. Why don't you use comp-lzo in OpenVpn? I tried turning it in on and off on both sides, and checked CPU usage and troughput, and didn't notice any gain in my case. looks so geeky :) and a person who is not techie I would go for a ready madevpn client. I am using PureVPN since past 3 months, and its great. I like to ask that is it save to use such ready made vpn software ? Looking at Vultr, seeing so many different packages/plans, I have no clue what I should purchase. I'm on 160/20, 2TB a month, which package would you perhaps advise? And, if I may: how do you get a BSD iso installed in the VPS in the first place? Thanks for your comments. About wich Vultr plan to choose, I do not fully know your needs, but based on the monthly traffic limit of 2TB, I would say their second offer : 7$/month, 2TB traffic, 1GB RAM, 20GB SSD. I was able to boot OpenBSD 5.6 iso by choosing "custom" in the 64 bits OS selection, and then providing them an url to an OpenBSD mirror ISO, as you would do to download an ISO an your computer. Are you this way protected against a malicious or compromised VPS provider? Can you achieve the same protection with FreeBSD instead of OpenBSD? A malicious VPS provider could make a snapshot of your server, restore it elsewhere, boot on an CD and retrieve your VPN keys from it... You could use full disk encryption to avoid that. The provider has access to your server console, although credentials are still needed to login (strong passwords here is a must). A _VPN_ provider can be 1) malicious 2) slow to updates its servers 3) insecure (vpn encryption, server security). The _VPS_ provider could be malicious, but updating/managing/securing the server is in your control. If you do not trust _anyone_, the best would be to buy yourself a server and host it in another country, but then would you trust the datacenter owner? The network/ISP provider? At one point, you should trust someone else. I prefer OpenBSD for a VPN server for the reasons I mention in the conclusion. I also use vultr for the same purpose with OpenBSD and M;Teir. :) I went through the hassle of encrypting my VPS disk with softraid for more security. I worked for a Large VPS hosting provider. And we use to get subpoena's / warrants for backups/copies of clients servers from US government organizations. I used the same BSDnow article as posted above. I might be misunderstanding something here, but doesn't the provided pf config prevent FTP traffic and therefore the use of pkg_add via FTP in the next section to install OpenVPN? I got it working completely on Vultr with OpenBSD 5.6 (my first time using a BSD :) ), and Arch Linux x86_64 and Android 4.4 as clients. Thank you very much for this writeup! Sidenote: In certain parts of the SYSTRACE section, you wrote `/usr/local/etc/openvpn` when you probably meant `/usr/local/sbin/openvpn`. Also, dunno if it was intentional, but a port (possibly your actual one?) appears in the systrace conf for openvpn. Also, on first pass I missed the `key-direction 1` directive for the Android OpenVPN conf as it's sort of hidden in between the crt/key blocks. Perhaps move it up for greater visibility? Also, for the dnscrypt-proxy section, it might be worth noting that out of the provided list of resolvers, only those which support DNSSEC validation will work. These might be obvious to you, but they tripped my up when I went through the guide. I'm glad you got it working! Thanks for your corrections too, it was indeed mistakes about the openvpn binary path and systrace port. I fixed them, and added warning/information about the "key-direction" line and DNSSEC validated servers. Hello, i have some trouble to PKG_ADD and SSH in, to access on ssh, i add a line for pass out ssh, and when i try to pkg_add something, ftp can't be ls, what i done wrong ? Thank you for sharing such a great tutorial. Mich appreciated. Keep up doing the great work. Cheers ! Doesn't renting a server from a company who take your data tarnish your anonymity as much as a VPN service would anyway? If you want anonymity from the hosting company, choose one accepting Bitcoin payments. If you want your data secure from the provider too, use Full Disk Encryption. Really great article very interesting indeed. My one caveat is if you are concerned about the amount of logging your VPN provider is doing, so you know how much logging your VPS provider is doing? Most VPS providers are not focused on NOT logging info and in fact to thwart and manage abuse the often log quite a bit. By running your own VPN you are just kicking the can down the street at they say. Your activities will now be available to anyone with the proper request. They will then very quickly be able to give them all your contact/billing info. If you use Full Disk Encryption on your VPN server, are accessing you server via a VPN connection, and are surfing through HTTPS, they is nothing your VPS provider can see. If you are concerned about giving your name and billing info, choose one accepting Bitcoins payments for instance. I am not concerned about logging from my VPS provider as I own the server and set it up myself. I trust myself to not make my log available. I do not necessarily trust a VPN provider "claiming" not to log (I have no way to check that). Great writeup. curious why you haven't locked down ssh to uncomment protocol 2 in sshd_config. Is there a reason for this not to be uncommented or am I misunderstanding.? Would doing this cause more damage than good? Maybe I'm wrong but you can correct me. I think the provided PF config prevent FTP traffic, therefore its good to install OpenVPN. But I prefer to use logless VPN service, what do you say its good or not ? I dont know for you guys but this doesnt work for me at all...after i finish everything I cant ping nothing, not google, only i can ping is 10.8.0.1...i cant go outside, i cant ssh from inside or outside it is totally locked in. Any idea why, would be great help....thanks in advance! This is definitely the best guide I ever read. Seriously. You guided me step by step and after some minor tweaks related to specific configuration I have a VPN with VPS also on mobile. You taught me a lot, I'm very grateful for that. Will you have some time to write about also on how to chain multiple VPS? I'm happy this article was useful to you! However I have no time currently to make other articles like this one, unfortunately, as I am working on a certification which requires all of my spare time. Hello, thank you for tutorial. I am having trouble getting "trusted" ips working. It definely blocks but right now anyone can connect, would you be able to help? I truly like to reading your post. Thank you so much for taking the time for sharing about VPN. Waiting for new post. I am 36 years old, and working in an IT departement. I am involved in network administration and security. 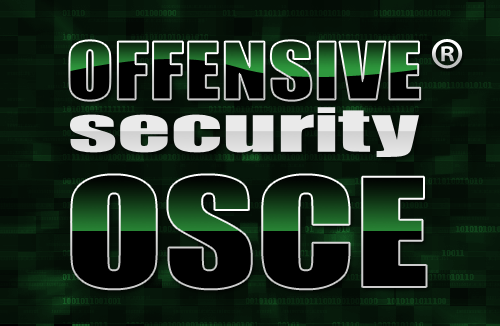 I am OSCE certified (Offensive Security Certified Expert) and OSCP certified (Offensive Security Certified Professional). You can follow me on Twitter @gkweb76.